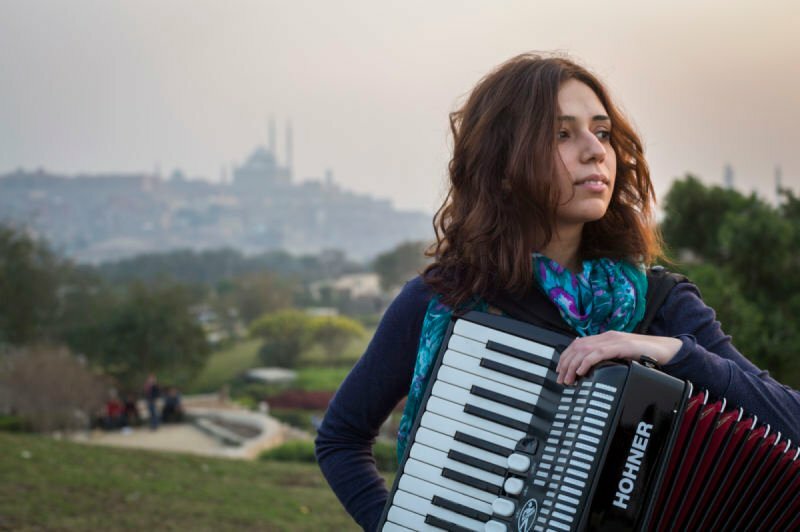 Youssra El Hawary is an accordionist, composer, songwriter, singer and actress from Cairo, Egypt. She has been composing her own songs, a satirical mix of social and political commentary, since 2010. In the early stages of her career, she would take to the stage only with her accordion, Her lively presence and unique musical style soon had her garnering a loyal following. In a very short time, Youssra became one of the strongest, most popular female voices on Egypt’s independent music scene, but the real turning point was her 2012 single “El Soor” (The Wall), a bold, biting statement about the political situation in Egypt. It was in the same year that Youssra decided to start working with other musicians, and a band was formed. Ever since then, the band has been reinventing Youssra’s older songs and creating new music, as well as performing in concerts and festivals both in Egypt and abroad. 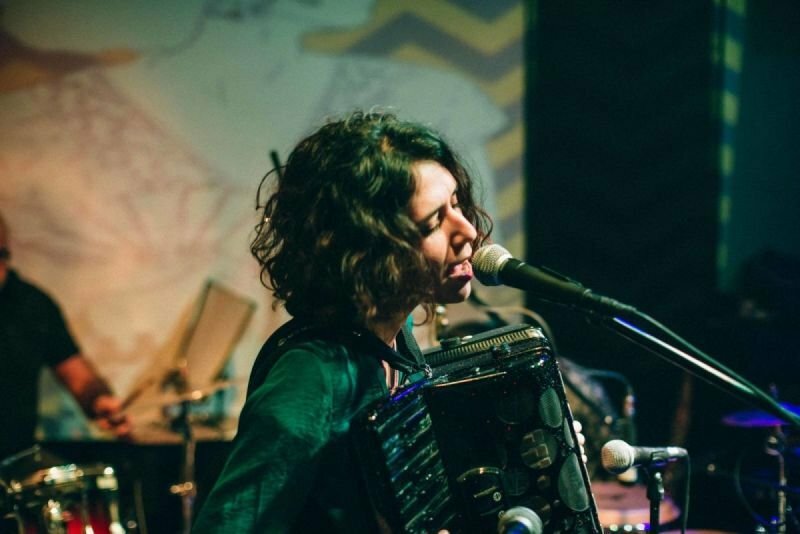 As a further step in developing her craft, Youssra has spent two years lately studying the accordion in France, and started mixing jazzy styles, French variety with her own compositions. In December 2017, Youssra - along with her band - managed to record and release their first album with the support of the fans, to be the first crowdfunded album in Egypt. Her songs entwine Alternative Folk, French chanson, indie rock, and jazz to underscore an idiosyncratic artistic world. Performed with playful charisma whether she plays solo or with the band. Her compositions are bellwethers of everyday life in Cairo, and the charged alchemy of the Mediterranean basin that fuels her distinctive and soulful sound.